Located in this modern two-storey building located in the heart of business activity within the Vincent area, this centre is steps away from the Vincent Park Mall and has large windows and high ceilings for an airy and open working environment. This centre is easily accessible close to many road links and other public transport connections. The airport can be quickly accessed from streets close by. 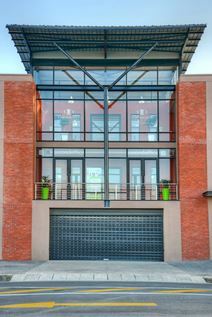 In the heart of the Eastern Cape this East London business centre provides a modern and professional home to businesses looking for co-working or serviced and furnished private office space. The surrounding area is particularly popular with manufacturing and motoring companies. In addition, just 10 minutes away, you will access the R72 road link, along which gives access to East London International Convention Centre.